It’s time to start the Thrift Store Decor Upcycle Challenge again! We took a short break during the holiday’s and now we are refreshed and ready to go! 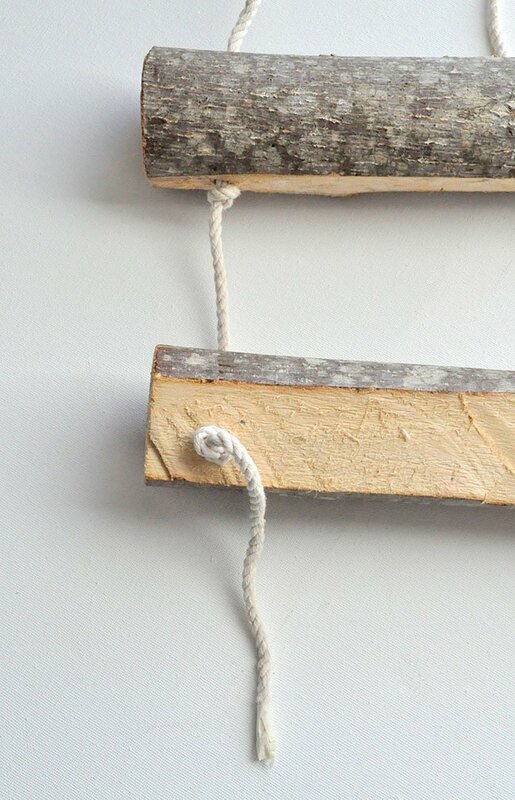 Today I am taking some thrift store birch candle holders and transforming them into a boho air plant hanger. I have caught the air plant bug! Who can resist a plant you don’t have to water and it’s too tough to kill! Plus they add a great pop of green to your decor. Let me show you how I made these groovy hangers. Lay the birch branches next to one another and see if one is larger than the other. If so, the smaller one is the one that will be on the top of the plant hanger. 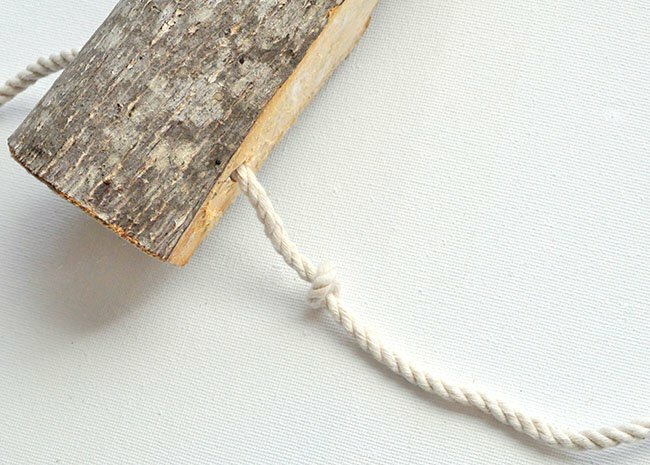 Using a drill bit a little larger than your rope, drill a hole through one end of the top birch branch. 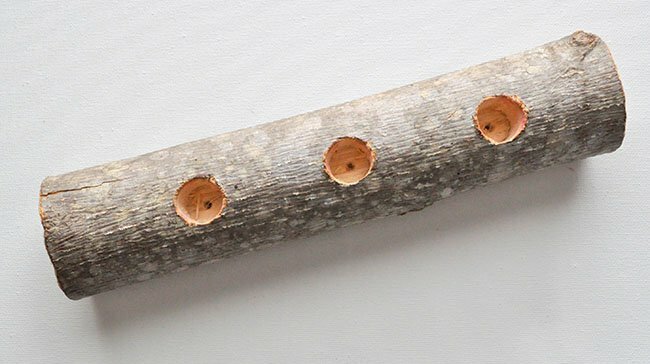 Lay the branch you drilled the holes in on top of the other branch and mark your holes with a pencil. 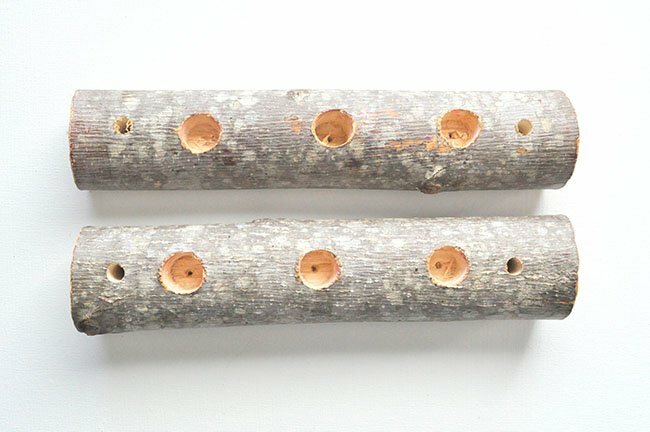 Drill holes in the second branch. Start with around 40+ inches of rope. 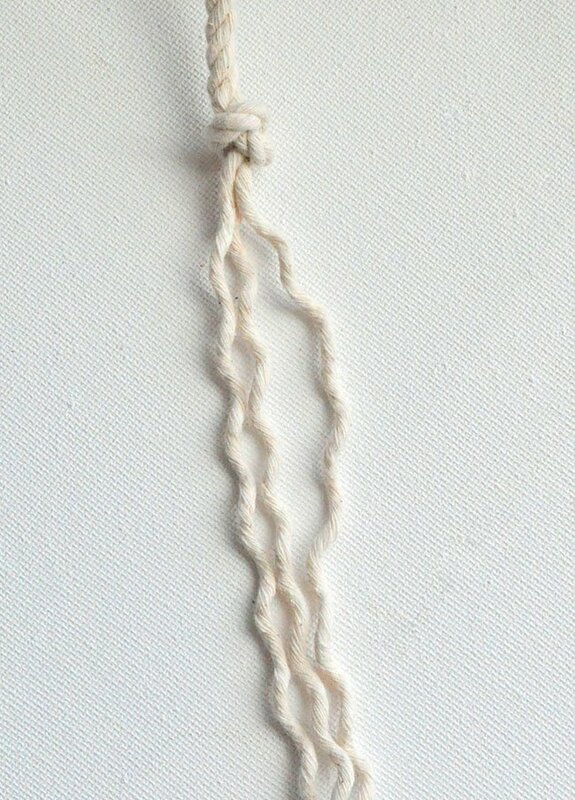 Wrap the ends of the rope with masking tape. Feed the rope end through one of the holes in the top branch. pull 15 inches of rope through the hole. Tie a knot under the first branch. Feed the rope through the second branch. Leave 4 inches of rope between the first branch and bottom branch. Tie a knot under the bottom branch. Top rope is 15 inches. Go back and repeat these steps for the other side. Unravel the rope under the bottom branch knots. 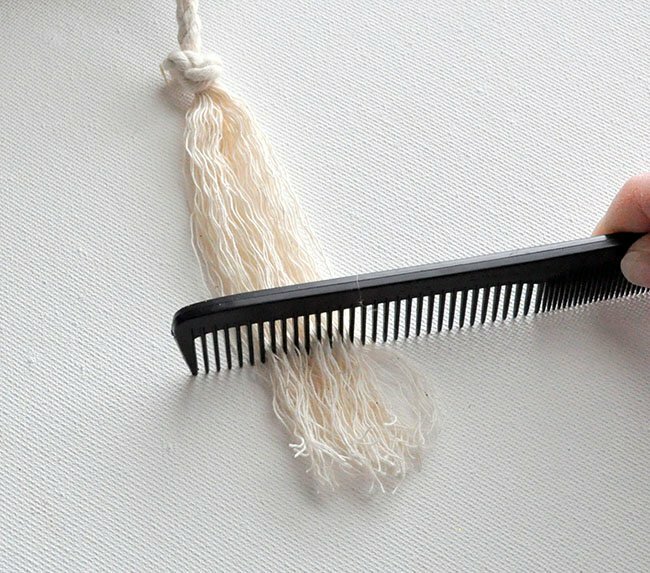 Take a hair comb and comb out the rope to make a tassel and that’s it! Super easy! 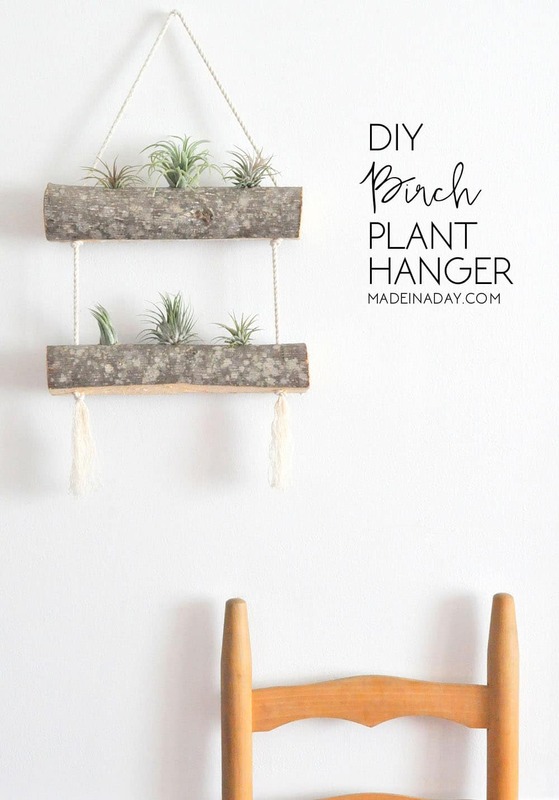 So don’t throw out those birch branch candle holders make them fun again by transforming them into this beautiful plant holder! Gasp. This is gorgeous! 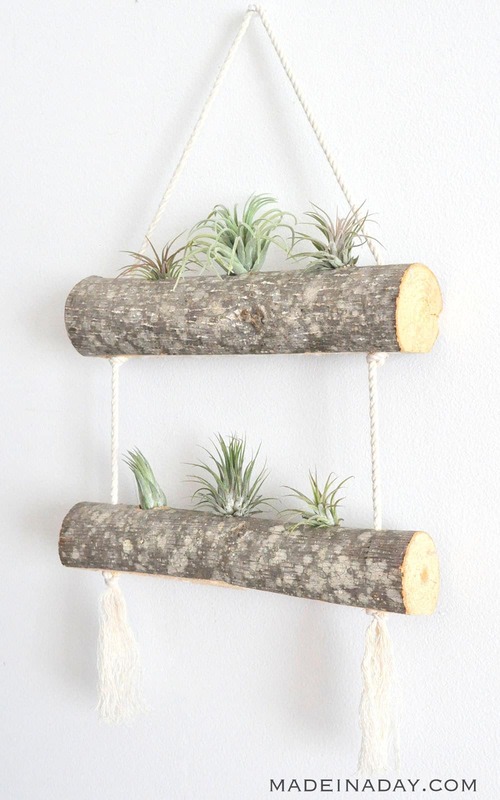 I love the wood, and the air plants – I probably can’t kill them! I’m adding this to my list of projects!! Thanks so much! So far my plants are alive an well, lol. This is beautiful and I love that you combed the rope at the bottom for some extra texture. This would be lovely in any home. Thank you Toni! hard to believe it was simple to make. I absolutely love how this turned out!! Those birch pieces were a great find at the thrift store and I love what you did with them! Thanks Chelsea! I have had them in my stash them for a couple of years. The just seemed to be made for this project. Love when that happens. I want this! It would look fabulous in our master bathroom that I really want to make over soon. Thanks Ashley! 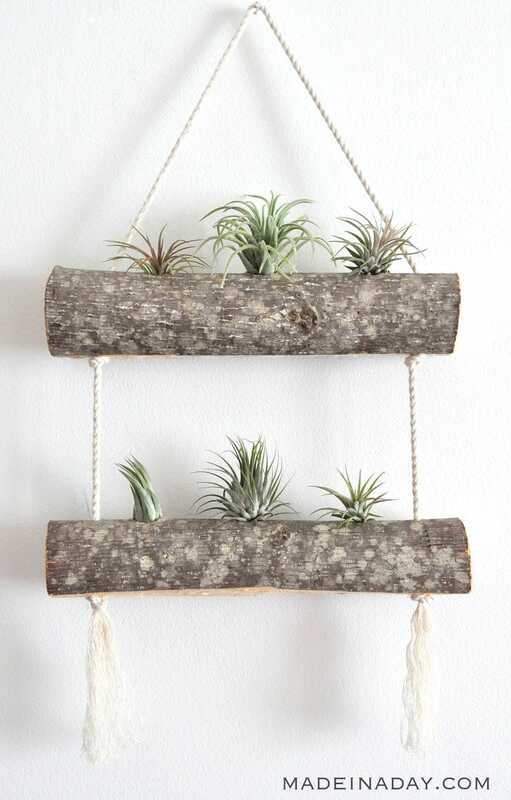 They definitely were made for an airplant hanger! Thanks for stopping by! Such a cool project, and so much texture in the birch, rope, and plants. Love the mix! This is so nice. I don’t have birch logs but I am sure I can find something else or like Erlene said to use a faux log. Yes Debra! You could totally make faux logs with foam and birch wrapping paper! Did you see the birch logs I received from Silk Plants? I was thinking of ways to use them and then you posted this…perfect timing. Yes they would work too. I’ve had these for awhile and finally the inspiration hit! Love when that happens. 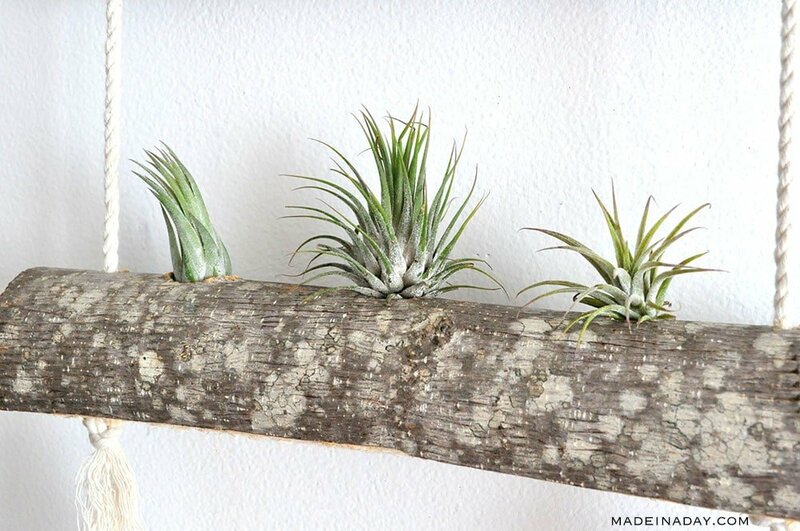 I see air plants all the time and never know what to do with them. Now I know. I love this idea so much! I am obsessed with this upcycle. Wonderful job. I love this. Thank you sue! I love them too! Such an easy project too. What a great idea!! Pinned!! Now I will keep my eyes open on our next trip to the forest. I think you could totally make your own by finding wood too. Thank you Pili. I absolutely love this!! Such a great idea!! That is stunning. You did such a great job. Pinned! This is so pretty! Visiting from Thrift Store Challenge. Cute idea!! I want air plants but am afraid one of my daredevil cats would make it his mission to destroy whatever hanging contraption I come up with to get to the plant. This is a great way to add decor AND greenery to a wall. Hang them high! My cat hasn’t found my plants yet. I think she just likes houseplants with dirt.